stART Neo Presents….The 5th annual Sip Into the Holidays…. The Benefit will be held on Friday, November 30, 2012, from 7-10pm, at Wobblefoot Gallery Mars Avenue, Lakewood. The Auction and Chinese Raffle will showcase local artists’ work of custom painted glassware, themed gift baskets and other artist created holiday items all to benefit Lakewood Commission’s mission of providing quality programming and support for Lakewood’s Senior Citizens. This year’s theme, Happy Christmahanukwanzaa celebrates our community diversity! The world is one big melting pot, and that’s never made more clear than during the holidays. If you find yourself saying, “Merry Chr— er, happy, uh, holidays…” more than a few times a week during the holiday season, join us in celebrating diversity and toasting Christmahanukwanzaa! We have a couple of additions to our event this year. First, we will be raffling off an instant wine cellar. This collection of approximately 24 (or more – it’s still “pouring” in at press time!) bottles will kick start a robust wine cellar or complement your existing collection. The 2012 Instant Wine Cellar will feature velvety Cabernets, lush Chardonnays, giddy Sparkling Wines and interesting varietals from Ohio and beyond. We offer many thanks to the families who contributed to this extraordinary collection, which celebrates the collaborative spirit of our Community. Raffle tickets will be $10 a piece for this raffle, and they will be sold before and during the Event. If you are unable to attend the event, you can stop by Wobblefoot Gallery after November 15th to buy a raffle ticket. Also, the evening of the event will be complemented with a wine tasting presented by MissWineOH, the wine events and education company, who be on hand as we taste 5 great wines. The Chief Tasting Officer will share the details of how to pick a great wine for any occasion. Two whites, a Rose and two Reds will be poured for us. Established in 1978, the Lakewood Commission of Aging’s mission is to support programs and activities that enhance the lives of older adults by enabling them to live productively and with dignity in our community. Proceeds raised from this event will help underwrite the costs of many programs the Lakewood Division of Aging offers Lakewood Senior Citizens. All donors of raffle and auction items will receive recognition in the event program. Tickets for the event will be $20 presale or $25 day of the event. We plan to sell out this year so buy your tickets today! You can buy your tickets and instant wine cellar raffle tickets at Wobblefoot Gallery or purchase event tickets online at http://www.startneo.info by selecting the Donation button. 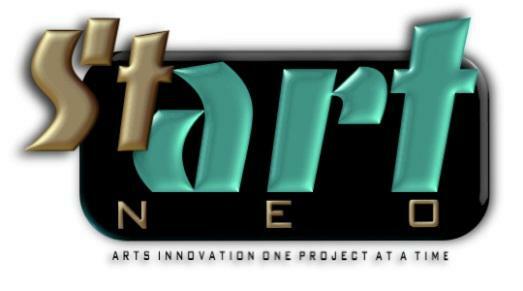 One of the missions of stArtNeo is to give back to the community by working with nonprofits and artists to support national and local charities by generating awareness through fundraising events. www.startneo.info Additional questions? Call Ruthie at 216-521-2894 or email rkoenigsmark@yahoo.com. Posted in events, Upcoming and tagged auction, Cleveland, fundraiser, Holiday event, Lakewood, red wine, white wine, wine cellar, wine tasting. Bookmark the permalink.